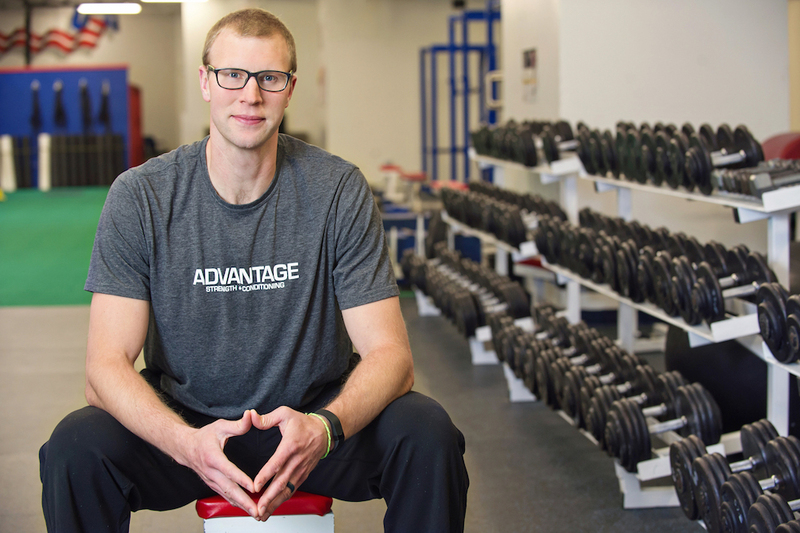 Advantage Strength opened its doors in April of 2012, and has been offering quality strength training and athletic development programs ever since. After a 7 year professional hockey career, Brian Sipotz founded ASC with the goal of bringing intelligent, responsible, and effective training to youth, teens, adults, and teams in the area. The training systems used at Advantage were developed with Darryl Nelson from USA Hockey’s National Team Development Program. Darryl is a leader in the sports performance industry, and his expertise has allowed Advantage to develop the most highly regarded training system in the area. A year after opening, Advantage began their tiered membership program to keep up with the demand for good training, and to offer adults the same great training their sons and daughters had experienced. After 2 years, we added an additional 1,300 square feet to house the weight equipment, giving us a wide open turf space for training. The Advantage team has grown to include an incredible group of talented coaches, physical therapists, and vital role-players. It is a community of life-long learners dedicated to improving their craft, so the future of Advantage is bright. We look to continue our rate of growth and will continue to offer the most intelligent, responsible, and effective training for youth, teens, adults, and teams. At Advantage, we train our clients according to a progression which begins with basic strength and fitness skills all the way to specialized sport specific training. In younger athletes, we stress a solid general strength and conditioning program because it enhances overall performance, prepares young bodies for competition and future training, and actually helps prevent overuse injuries due to the variety of exercises. After this base is solid, we continue towards more sport specific improvements. Our training objectives are broken down by age. Of course, not everyone fits the mold when it comes to health and physical development, so each athlete is examined individually.